Thank you for your interest in employment with Pecan Grove Training Center. We have staff members who have been part of our family for years. We provide career opportunities for dedicated professionals who have a caring patient nature. See if your skills and heart would benefit the people living at our main campus or at one of our 3 community homes. 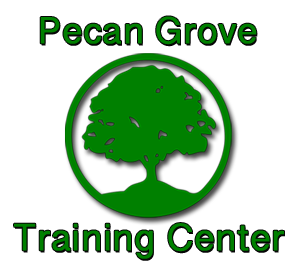 Pecan Grove Training Center is interested in qualified motivated people to join our team. We are an Equal Opportunity Employer. For additional information either call or come in to see Human Resources. Must be over 18. Responsibilities include caring and training of individuals living at Pecan Grove. Skills Needed: Direct Care, driving, & basic household skills. 4 year Human Service degree. Create & initiate your clients skills program! We welcome new LPN graduates.